Trapp Candles No 4-Orange Vanilla, 7 Oz Poured Candle in a newly designed box with the classic Trapp house design. This is it! The perfect combination of crisp orange notes elevated by the exquisite addition of Tahitian vanilla. Large Poured Candle, 50 Hr. Burn time. Vanilla is such a beat up and overdone scent that I no longer consider it.....except this one! I received this scent as a gift several years ago and what a surprise. The vanilla is there but subtle.....think Creamsicle. The orange/vanilla blend is delicious, happy, refreshing and lingering. The Orange Vanilla scent smells just as an orange would! It covers my home with the perfect scent, just right.I have had several people ask me what scent it is, and that they love it. I ordered 3 the first time and I have ordered more. They do burn clean for about 50 hours. I have also tried Bob's Flower Shop and it's awesome. the candles were what I expected, service fast, no nonsense. They were carefully packaged and the whole process from ordering online to getting my candles was great. Thanks! My favorite, all time Trapp fragrance! Have tried so many other fragrances and manufacturers and always come back to this. To me it smells of home...warm, loving, safe, secure and fun! All is right in the world when I am surrounded by this fragrance. I love these candles. This is the best price I've found. Really fast delivery too. Thanks. I'll be back. 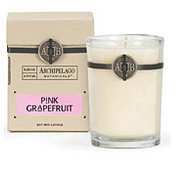 I love having these candles all around my home and greatly enjoy the aromas! 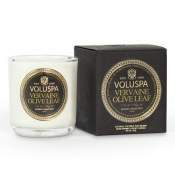 I was given an OrangeVanilla candle as a gift and fell in love with the fragrance. This Christmas 3 of my friends will discover how wonderful it is! Lucky girls! The fragrance is particularly useful in helping with cooking odors such as bacon & sausage. I LOVE it!